Leaders are making the connection that a generous Christian with a generous heart is a mature believer. Church leaders just can’t ignore this topic, or make it a practical exercise to meet the needs of the church. This goes way beyond tithing and giving to the church to a different heart. Andy Stanley, lead pastor of North Point Church, Alpharetta, GA (www.northpoint.org), has popularized a statement that sums it up: “We talk about money, not because of what we want from you, but because of what we want for you.” This is something a teacher can’t fake. Leaders are having a personal experience in their own heart with generosity, they’re teaching it to their congregations in a way that deeply impacts their hearers’ souls, and they are figuring out strategies to help support many forms of generosity among their membership. 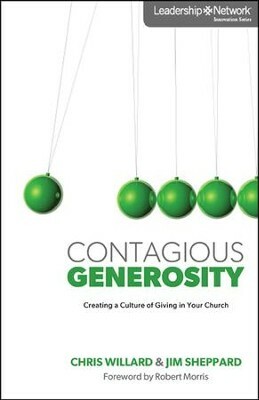 Excerpted from “Contagious Generosity” by Chris Willard & Jim Sheppard, Zondervan, 2012. Very good! looking forward to getting my hands on this.